So it's been a few days that I've been into Fusion / Resolve and there is a particule effect that i found in Fusion and that I would like to add to my Davinci project. Unfortunately I didn't find a way to export it with transparency to Davinci, so when i export it on one hand the quality is weird (particules are sparkling while they were just moving around in Fusion) and there is a black background on it. but in my Fusion there is no button "Attempt to save Alpha" such as the one at 0:57. The video you're watching was from a version where legacy QT codecs were still supported. The 'attempt to save alpha' button only is available when you use a codec that supports embedded alpha. Ok thanks, then how can i use that kind of codec ? I don't know anything about Resolve, so I don't know if it supports importing filesequences, but you could export a TGA-sequence with embedded alpha or use Prores with Alpha if that is supported. Are you using Fusion Free or Studio? For ProRes, only 4444 will have an alpha. But an image sequence is really the best choice for exporting from Fusion. Tiff, Tga, png, exr, and dpx all support alpha, although Resolve may not know how to handle a dpx with alpha—they're uncommon—and you might need to AlphaDivide right before the Saver if you use png—the specification is that all pngs are unpremultiplied. "The quality is weird" might be a separate issue. Could you be more specific or post a demonstration? To be honest I didn't understand most of what you both wrote. It's a matter of the format to which i render it from Fusion to Resolve right ? I'm using the free version ! About the weird quality, I will check this once we solve the problem of transparency, because maybe that's just a matter of render settings. not every file format for the output supports an alpha channel. it is more common to have image sequences with embeded alpha then a movie format. Let's try to solve the quality and the transparency at the same time. What format are you saving to currently? I tried QuickTime movies and now I'm gonna try DNxHD/HR. That's becaus DNxHD/HR isn't a format. It's a codec that goes inside of a *.mov wrapper. So select quicktime movies and then go to the 'format' tab and in the 'compression' dropdown you will find options for all kinds of codecs. Ok I did this, with DNxHD HQ 1080p 8bit and then rendered. It didn't go directly to Resolve so I took it from the place I chose to save it, drag and drop to Resolve and still black background. MetalGuy wrote: Ok I did this, with DNxHD HQ 1080p 8bit and then rendered. It didn't go directly to Resolve so I took it from the place I chose to save it, drag and drop to Resolve and still black background. As soon as you choose a codec that supports alpha, you will get the checkbox you were looking for in your first post. Just select the top most codec and press the down arrow on your keyboard to cycle through your options and when you reach a codec that supports alpha, the checkbox will appear. It says HR right where you highlight it. Just select it and see if the checkbox appears. I am not a Resolve user, so I have no idea. Did you save it under a new name to be sure? If you drag/drop it back in Fusion, does it show up? And i saved it under a new name yes ! Then I guess you'll have to jump over to the Resolve section and ask them about this, because I have no idea why it would say media off-line if in fact it isn't. I hope I am not adding any additional confusion here, but did you look into using Fusion Connect? This should take care of sending the footage to Fusion and back again. Also it would get around this particular transparency issue, as the final composite is rendered in Fusion and imported into Resolve. 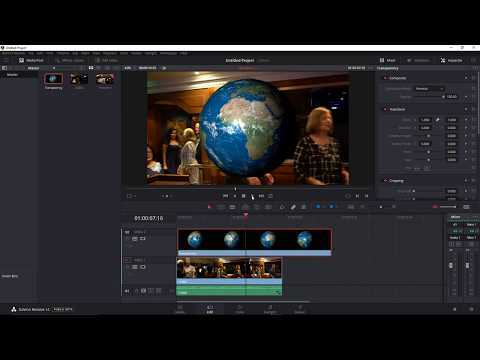 I tried to directly import my connected clip from Resolve with connected clip and then put the particle effect on it, but the node doesn't want to create itself. I mean whenever i try to link the particles effet node to my clip, the arrow just doesn't do it. Then I tried another thing : I made my particle effect and saved it as quicktime video, codec DNxHR HQ 8 bit. 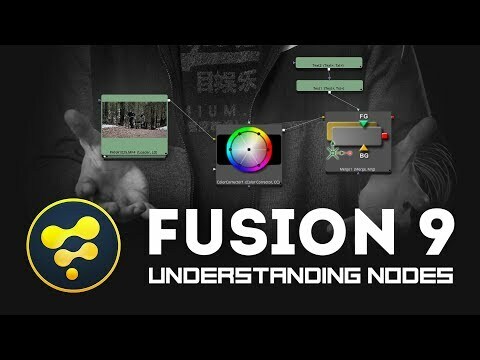 Then I imported it to my fusion project and created a merge node to link it with the video. But here is a new problem : even if I clic on foreground inside of the merge node when I select the particle effect, and background for my video, the particles stay in the foreground (i can see the particles on the sizes of the screen). Just found the solution !! Can you let us know how you fixed it? This way other people can learn from your experiences. First i made my particle effect in Fusion, that i saved as quicktime video, codec DNxHR HQ 8 bit. Then i imported my sequence from Resolve, placed a merge node where i linked my effect in foreground and sequence in background. The thing is that it didn't want to display it both at the same time, so i tried to link a saver to my merge node and it worked. Then i exported it in Resolve again. Just a word to say I've read the whole thread (back from holidays right now) and I don't understand the issue, at least the second one. 2/ for this kind of roundtrip, to ease the workflow, start in Resolve > Fusion Connect > do the trick > save. Boom, refreshed in Resolve. Now, if you prefer to make it apart, do the trick in Fusion > export in PR 4444 > import in an upper track in Resolve. If there's any trouble with alpha in Resolve : Media pool > right-click the clip > clip attributes > "premultiplied alpha"